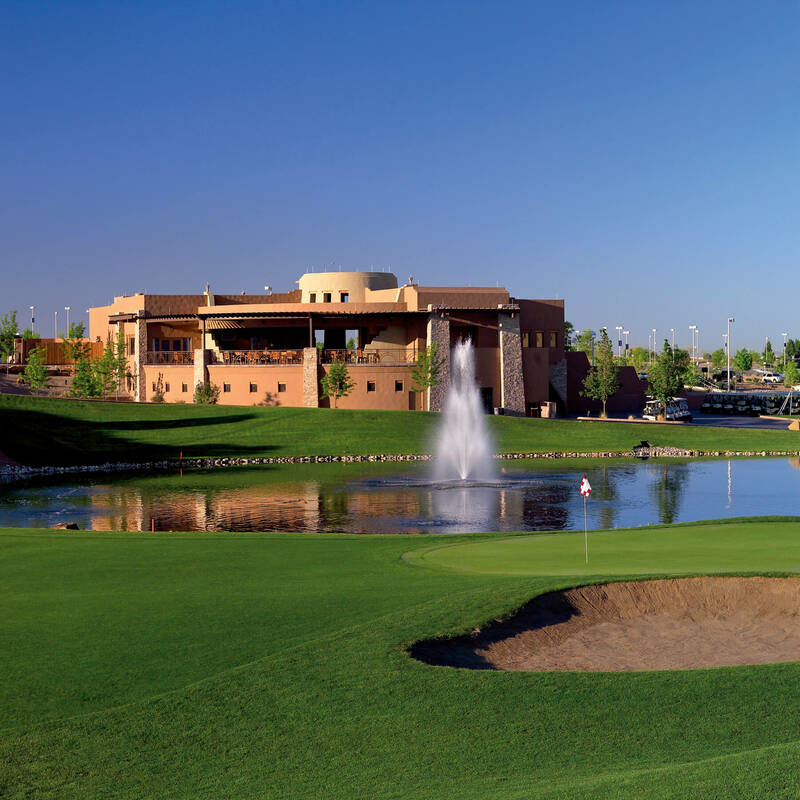 Featuring daily specials and a year round grille menu in an informal setting, with accommodations for indoor and patio seating, Sandia Golf Course Grill delivers exceptional service from a friendly, knowledgeable and enthusiastic staff. Kick back and relax or close the deal in our "Pueblo style" restaurant where golf and traditional southwest flare unite. Order a bite to eat or simply enjoy the breathtaking views of the Sandia Mountain on our 3,000 square foot outdoor covered patio overlooking the 18th green. Hours do vary, so feel free to call ahead to ensure your group can be accommodated.